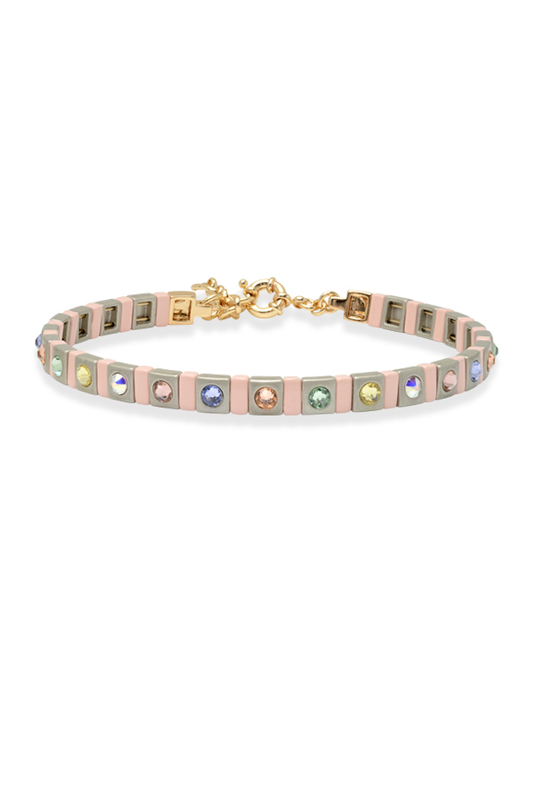 Pastel grey and baby pink enamel choker with multi-colored pastel Swarovski crystals. Total length: 13" ; extension: 2.5". gold-tone spring ring clasp closure.